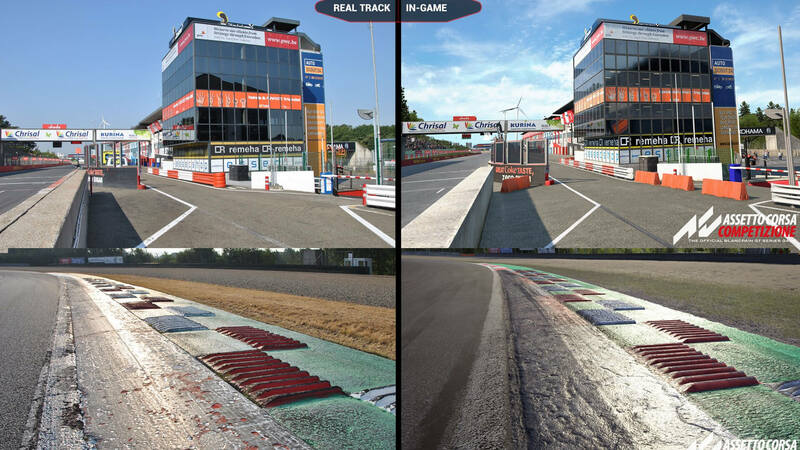 Discussion in 'Assetto Corsa Competizione' started by GTPNewsWire, Jan 12, 2019. This article was published by Michael Leary (@Terronium-12) on January 12th, 2019 in the Assetto Corsa Competizione category. ProjectF, BrainsBush, Dopplegagger and 2 others like this. FoRiZon, Josh Ragland, AgentBlackDog and 2 others like this. But a Great Sim can be Made better with Better Visuals. huiop2, HarlemG27 and ivann like this. PD's work is just as good, the hardware just holds them back. TheNuvolari, ProjectF, killso and 17 others like this. Absolutely amazing! Can't wait till the Full version will be out. Meh. Hand picked screens. In motion ACC don't look as good as a game made on 2013 console. So more like...go learn Kunos ? Sander 001, huiop2, mekonrider and 1 other person like this. But its just not suitable for a sim, the EoE™ (Experts-on-Everything™) told us so. UE4s physics just isn't up to the job and there is no way to replace the "basic" physics that comes with UE4 just to get a dev/small team up and running. What? What do you mean "you can"?! Don't you know that the EoE™ know more about UE4 than its own devs, third-party devs that utilise the engine and anyone with half a functioning brain? Noob! What should PD learn? That a (so far) PC only game, probably running on hardware that costs thousands more than a PS4, looks better than game on a nearly 6-year old console? I'm fairly confident that PD already know that. TheNuvolari, bremics, Sander 001 and 8 others like this. All the comments about oh it's beautiful, yeah the screenshots are. Now go try and run it in VR, or @1440p a 1080ti is having problems holding 60fps, there's a ton of optimization left to do and the projected full release of Q1 is under 60 days out. I have 19 hours in, my 1070ti is running at 100%/CPU maxxed out it's giving me 50fps @2560x1080p single screen ultrawide. Kunos are doing great things with ACC, we'll see what happens. Sander 001, Russ Petersen and Rotorist like this. If PD was on a PC at that level, they would do the same, if not better. The PS4 system and specs is holding them back. Big time. You can see what they can do during the Sony 8K TV showcase during CES. That's not a ps4 system and it looks stunning. Of course, this looks wonderful. Absolutely stunning! Props, Kudos! StealthVel and AgentBlackDog like this. ProjectF, GTWelsh, G.T.Ace and 1 other person like this. Wow, at first glance I thought the one of the left was the game, that's crazy. Kinda dumb comparing what is essentially an indie studio with barely any staff or funding with a first party developer with unlimited time and money and hundreds of employees that only has one spec to work with. But at the same time it shows that licensed engines and middleware has come a long way in the last 10 years, the visuals are reaching a ceiling and a small studio can produce similar or better visuals compared to a massive dev studio. This wouldn't be possible 15 years ago. Dopplegagger, CTstryk, HarlemG27 and 1 other person like this. Dopplegagger and StealthVel like this. So tempted to get a new gaming PC for this. However, this will cost me loads of money. Lets see what kind of machine is necessary to run this in 4K with 60 fps after they polished and optimized it. Learn what? How to use the wrong textures and get away with it because people are fooled by high resolution? This game is using Ray Tracing for reflections. I'm super excited to see some gameplay with it while it is raining. You know that if it comes to consoles it will be a signigicant downgraded version right? I doubt it can run at all on PS4/XO, but PS5/Scarlett should have no problem and the game will be finished by then. Brzlav, super_gt and George Jakob like this. The rest of the promotional images and videos are with the SSR of the UE4. Zolder's ACC grass is greener than in real life. Of course not right now, in 2 years when the next gen consoles are out and the game has further improved. I'm sure it will happen. ProjectF and George Jakob like this. Exactly my feelings. I think lighting on pcars2 often looks better and I can run it at 4K 60 FPS but struggle to get 50 FPS on 2560x1440 on ACC at which point it looks far worse than pcars 2 does. Hope they can fix this. If you want ACC to look as good as this on consoles you gotta wait for the next gen to arrive. Oh ok i just want you to not be disapointed. What if you have a 4k console and 4k tv with hdr 120hz? I’d take ACC with graphics and graphical features scaled back to AC (or lower) levels in a heartbeat if that meant I could play it on my PS4. I guess I’m a weirdo. It’ll take a full AC2 coming to next gen for me to buy a PS5. Can’t foresee getting one for any other reason.